Meet Karen, after working for a speed dating company for many years, Karen wanted to set out on her own. She had the local knowledge, a database of interested contacts and a handful of venues lined up, but she didn’t know how to present herself to the world. That’s when she came to us. Following an initial conversation on business goals, we provided Karen with 4 logo options and she immediately identified ‘the one’. Many of Karen’s venues are lively pubs who are happy to advertise upcoming events on tables and boards. 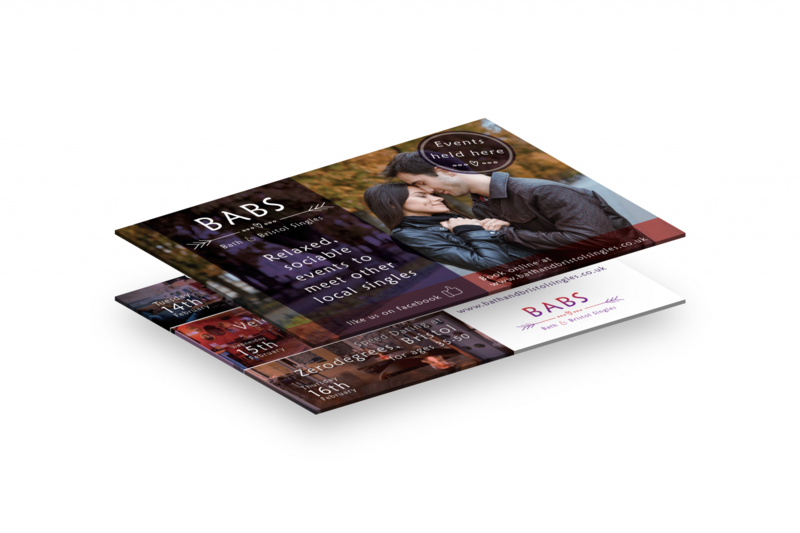 We created these glossy A5 flyers to promote the initial valentines events. With close to 100 emails a day landing in our inbox, it is vital to stand out by offering relevent, interesting and enticing content. 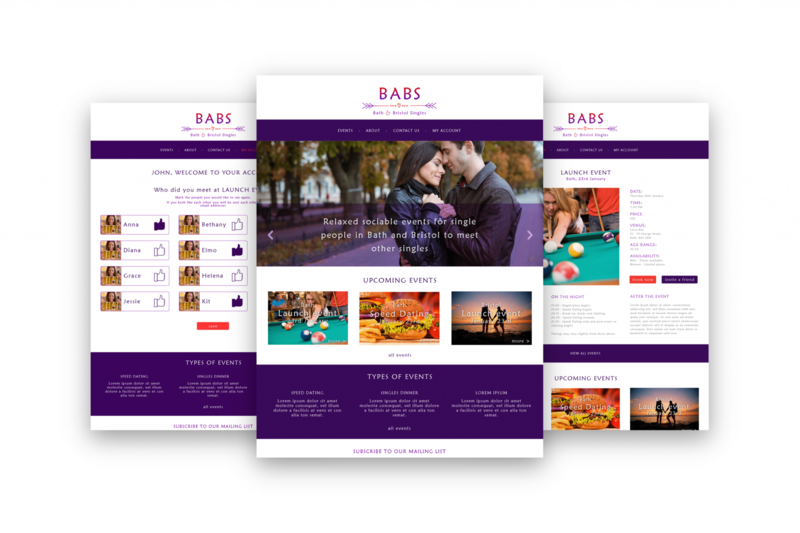 We created a handful of on brand templates and subject lines for Karen to A/B test to ensure she could speak to as many of her future clients as possible. Kat and the Gradino team are very knowledgeable with regards to website creation and design for marketing. I was particularly impressed with the logo they designed. I was sent an email with about 4 designs on, the one I chose jumped out at me immediately. The team is flexible meaning the best people for my business come together to the job done. Kat has also been very supportive and encouraging towards me, as I start my own business. She has gone above and beyond throughout the process. Basically, without Gradino, BABS simply wouldn’t exist! Do you need a hand visually explaining what you do and why?